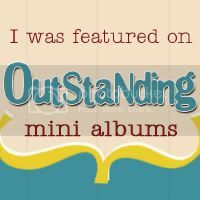 A huge thanks to Women’s World Magazine who is featuring “Outstanding Mini Albums” in one of their articles in the newest issue! I was thrilled when they contacted me last month to interview me for this article. If you read the article, I’d love to hear from you! 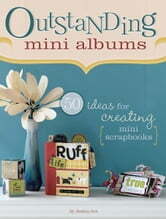 In celebration, I am doing a giveaway for a copy of my book “Outstanding Mini Albums”. Just leave me a comment here or on my other blog (www.jessicaacs.com) and tell me what your favorite scrapbooking supplies are. A winner will be selected randomly on Feb 10th. Also, my FREE technique classes are going to be offered again this Spring. The exact date has not been scheduled yet but keep checking back. They will be starting sometime in March 2013. Wow, that is great to hear about them interviewing you and doing a story about your mini albums. Some of my favorite scrapbooking supplies are ribbon, patterned paper and buttons. I love using those items on my pages. Love the mini albums. I need to make more of these. I love PAPER! I can never seem to have enough. I love all the mini books on the gallery; they are a great inspiration. Some of my favorite scrapbooking supplies are die cuts, punches, and distress and chalking inks. I love all the mini albums on the gallery; they are inspirational. My favorite scrapbooking supplies are die cut, punches, and distress and chalking ink. I am new to scrapbooking and I am fascinated with the mini albums! My favorite scrapbooking supplies are die cuts and the beautiful paper.